Welcome to our first explore-along (just like sing-along!) post. To get the best out of our selenium series it is recommended that you follow closely and work along. It is as simple as that! In the land of Magic Meadows, before we see some real magic happening, it’s time we set the environment for it. Sounds a bit technical, isn’t it? 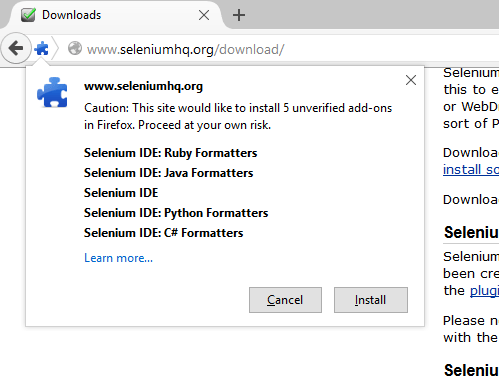 But no worries, it is quite easy as Selenium IDE comes as a Firefox plug-in. So all you need to get started with the installation process is an active internet connection. Once the Setup file is downloaded, it looks something like this. So go ahead and click on the exe file. 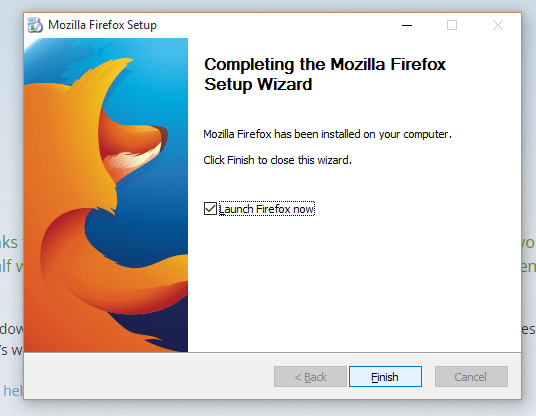 Once the extraction reaches 100%, Mozilla Firefox Setup Wizard will pop up. Click on the “Next” button. You can very well go ahead with the Standard as your set up type. It’s completely left to your convenience. I am choosing “Standard” and clicking Next. 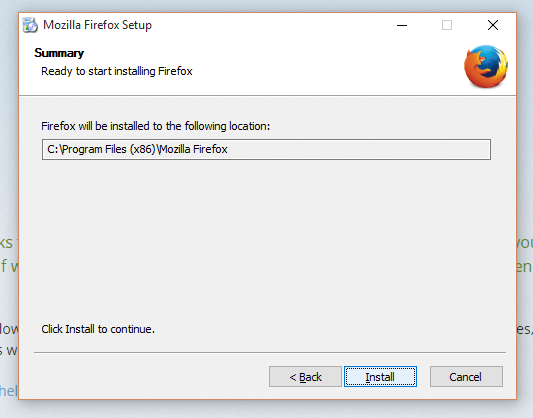 A summary of the location where Firefox will be installed is shown. Just click on “Install” button. Click on “Finish” and launch Firefox browser to get started. Once you click on the version number, due to the security settings, you might see a pop-up. 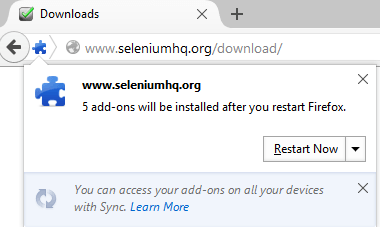 Click on the “Allow” button to proceed with the installation. 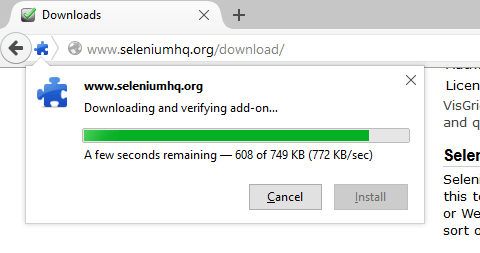 When download completes, click on the “Install” button. Upon the completion of installation, click on “Restart Now”. Use the combination of Alt+Ctrl+S. Click on the Se icon in the toolbar if it is available already. 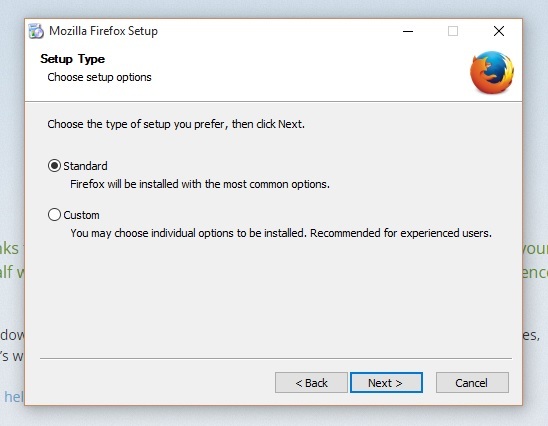 You can always go by the conventional method of launching it from the Firefox Menu. Just press Alt if you don’t see the menu and it will pop up. Click on Tools -> Selenium IDE or Tools -> Web Developer -> Selenium IDE. 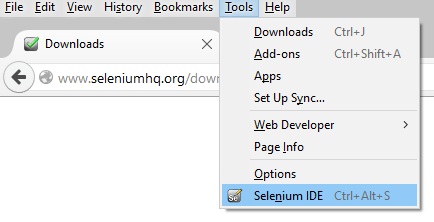 Now let me show how our Selenium IDE looks when it is launched. A few words on Firebug: It is a free and open-source web browser extension for Mozilla Firefox. We are going to take its advantage for identifying and inspecting the Web Elements of the application under automating using Selenium. It is totally fine if you do not understand a word of what I was talking. Just go ahead and install Firebug for now. Everything will fall in place as we explore deeper. Time for some action: Launch Firefox and navigate to https://getfirebug.com/downloads/ for downloading firebug. 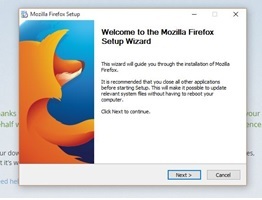 Click on the download link based on the compatibility with your current Firefox version. 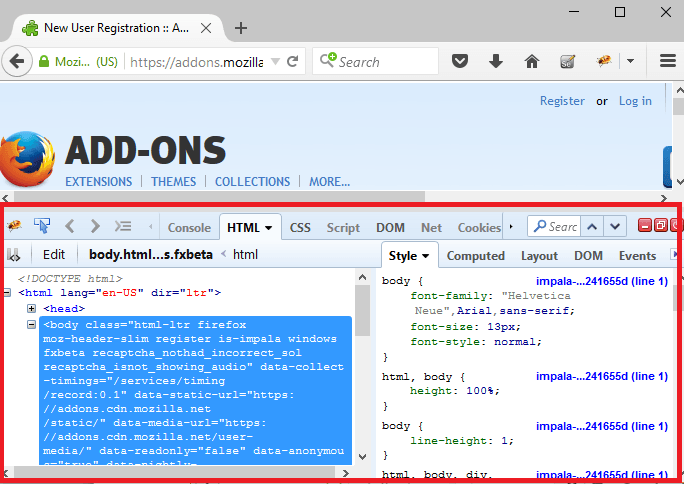 Clicking on download link will take you to Firefox Add-ons page. 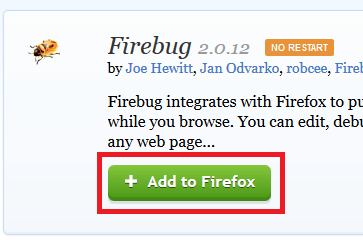 Just click on “Add to Firefox” in the Firebug section. 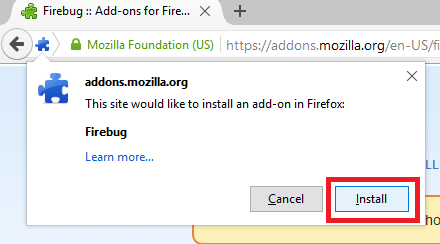 Firefox will download the Add-on. Upon completion, a dialog box would appear in order to install Firebug. Click on “Install” button. Once the installation is done, a notification saying “Firebug has been installed successfully” can be seen. Even if this doesn’t appear, there isn’t anything to worry. And also, there is no restart of the browser required after installing Firebug. Click on the Firebug icon which will be available in the right corner of the Firefox toolbar. That’s all for today. You are all set for some visual treat but that has to wait a bit. 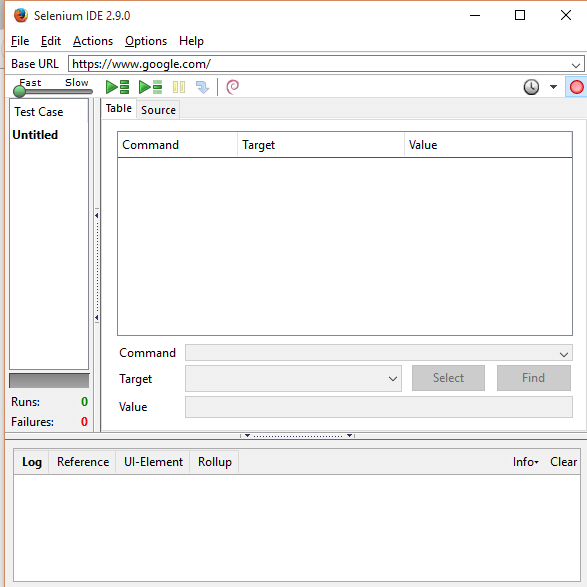 See you again in another post where we will be exploring more about the options in Selenium IDE. Have a nice day!